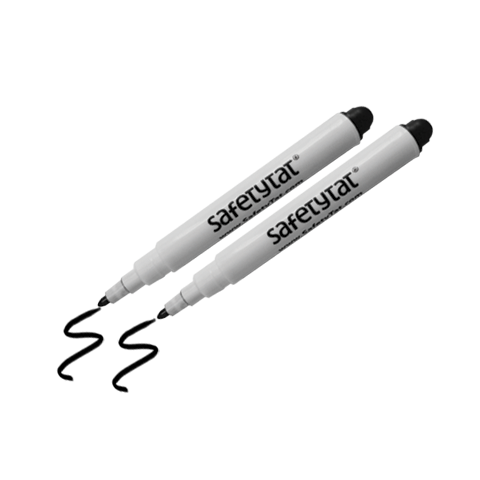 2 pens emblazoned with the SafetyTat logo. Compact size fits well in small spots. For marking on Quick Stick Write-on! tattoos, not directly on skin.